The researchers at IndiaFacts have dug up an interesting document from the past. Something that has significant bearing on how Prime Minister Narendra Modi should fashion his policy towards the United States of America. In short, this document is actually a deposition before a US body against Narendra Modi delivered on foreign soil by an Indian citizen. The name of this Indian citizen is Kamal Mitra Chenoy, a former Professor on political theory and international relations at the Jawaharlal Nehru University (JNU), Delhi. 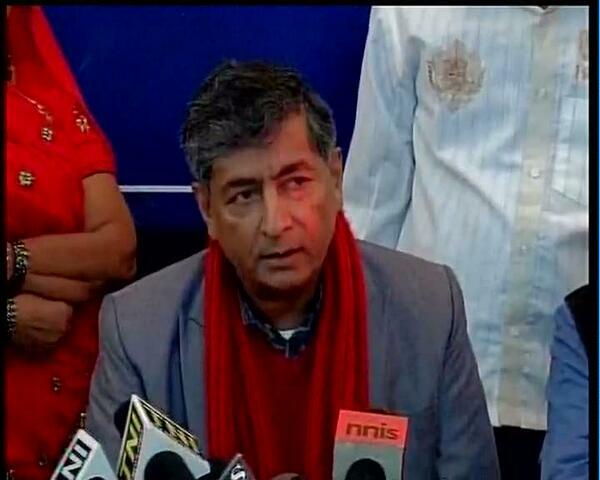 Kamal Mitra Chenoy was also a central committee member of the Communist Party of India (CPI). He is now a prominent member of the Aam Aadmi Party (AAP) founded and headed by Arvind Kejriwal, who became the Chief Minister of Delhi earlier this year and resigned after just 49 days in office. On 10 June 2002, Kamal Mitra Chenoy was in the US. The researchers at IndiaFacts were unable to obtain any information whether Kamal Mitra Chenoy mentioned to the concerned Indian authorities as to the actual reason for visiting the US. But the fact is that he was definitely present in the US on 10 June 2002. The hearing began at 9:12 A.M. and Kamal Mitra Chenoy was present at the appointed time. On the same Panel 1 was also present Najid Hussain, a research scientist in Marine Studies at the University of Delaware. Najid Hussain is also the son-in-law of the deceased and former Member of Parliament Ahsan Jaffri from Gujarat. The hearing was chaired by the former Commissioner of the USCIRF Ms. Felice D. Gaer who now directs the Jacob Blaustein Institute for the Advancement of Human Rights of the American Jewish Committee. University, New Deli.” (spelling of “Delhi” as “Deli” reproduced here as is in that report IndiaFacts has accessed). The first testimony before the USCIRF was by Mr. Hussain followed by Kamal Mitra Chenoy. The following is the unedited version of Kamal Mitra Chenoy’s testimony before the USCIRF’s hearing chaired by Ms. Felice Gaer. No formatting has been changed. CHAIRMAN GAER: Mr. Chenoy, would you present your testimony, please. MR. CHENOY: Madam Chairperson, members of the Commission, ladies and gentlemen, Gujarat has been a state polarized by religious sectarianism, or what we call communalism, for quite some time. There were riots even prior to the partition of India and the creation of India and Pakistan, but the current phase really starts from 1969 when the earlier form of the dominant party in the ruling coalition departed, and the party of the earlier form departed, Jana Sangh had been involved in fomenting the riots. And the riot immediately prior to the events of February, March, and April is also instructive because the fanatics attacked Christians in Gujarat, especially around Christmas 1998 and January 1999. And particularly in the tribal district of Dangs. Christian churches, places of worship, were burnt down. Christians were attacked, priests were beaten up, and the police, the FIR arrest department, and the civilian bureaucracy was involved. In fact, in February 1999, the Director General of Police Intelligence of Gujarat sent out a secret circular dated 2nd February, 1999, where he asked for a census of all Christians and also asked that who–which are the foreign countries that encourage these Christian communities, how much money do they get, and then wanted to know what is the type of trickery being used by the Christian missionaries for their defilement activities, that is, for conversion. And this was an officially-sponsored campaign by the Gujarat government, which actually got approval from Prime Minister Atal Bihari Vajpayee when our prime minister went to Dangs for the first time in January 1999 where he said that there should be a national debate on conversion, even though the right to practice and propagate religion is a fundamental right under the Indian Constitution. So it is not that the attacks, though they have been by far the most brutal against Muslims, are not also against attacks on minorities in general. Now, about this whole area of retaliatory violence, the incidents in Godhra that is with the Sabarmati Express followed a series of incidents on that train where the Hindu volunteers mistreated and humiliated Muslim men and women traveling by that train towards Ayodhya in Uttar Pradesh, or coming back towards Ahmedabad. And these instances were reported in the press. In early morning of the 27th February, the train was almost five hours late, and at the railway station an altercation took place over the nonpayment by the Hindu volunteers for the tea and snacks they had had. And then there was an attempt to abduct a young teenaged Muslim girl, Sophia, who was waiting for another train. They were not able to take her into the train, but the rumor of a Muslim girl being abducted reached the slums next to the railway station, and the attack that started barely a kilometer away from the railway station when the train stopped with the pulling of the alarm chain was based on these rumors and attention at the railway station. Now, there was a mob of around 2,000 “Ganchi” Muslims from that slum, and about 1,500 Hindu volunteers on the train, so it was actually a kind of religious sectarian riot, not only an attack by one side. But, tragically, the Muslims had firebombs, the Indian versions of Molotov cocktails. And one coach, and only one coach seemed to have been singled out for attack. And in that coach first 58 people were killed and the 59th died in hospital, mainly women and children. Now, the Chief Minister of Gujarat Narendra Modi went to the site and said this has been planned by the ISI, that is, Pakistani Intelligence, and another minister, State Minister for Health Ashok Bhatt said Godhra has a notorious reputation, and went on to say, “We suspect that many Pakistanis live here illegally.” The Home Minister Gordhan Zadaphia, who’s also a senior Vishwa Hindu Parishad activist, said, “The bogie burning is a terrorist act similar to the attack on the American Center in Kolkata. The culprits in both cases are the same.” In other words, Pakistani-backed terrorists. And then he gave a dire threat, and I’m quoting, “We will teach a lesson to those who have done this. No one will be spared, and we will make sure that the forces behind this act will never dare repeat it.” Then the chief minister insisted that the bodies of the killed from the Godhra area should be transported back to Ahmedabad. They reached there the early morning of the next day. This was broadcast over the radio. Frenzied mobs gathered and had religious rites, and there were cries for retaliation and revenge. So then, now I want to just make a point about what Mr. Hussain has already pointed out, too. You see the kind of targeting that was done, these people had precise lists of Muslim establishments, institutions, residences, workshops, shrines. A number of the commercial establishments that were attacked, there were minority Muslim shareholders. After the earlier riots, many of these bodies had non-Muslim names, including hotels, restaurants, workshops and so forth, yet these were marked out with precision and attacked.Cooking gas was in short supply in Ahmedabad for weeks before the 28th February. Yet these rioters carried thousands of cylinders of cooking gas which were used to explode buildings and burn people. They were led in buses, including luxury buses, in trucks, because cooking gas cylinders are heavy; you can’t just carry them. So this was a very systematically organized attack. And according to information through the National Human Rights Commission, Minister of State for Home Affairs Gordhan Zadaphia flashed a victory sign while passing by mobs on the 28th of February and the 1st of March. Minister for Health Ashok Bhatt was involved. The police control rooms in the capital, Gandhinagar and in the city of Ahmedabad were occupied by Civil Supplies Minister I.K. Jadeja and by Minister Ashok Bhatt. All this, by the way, is illegal, and the real tragedy of the situation is that for the first time, violence also spread extensively to rural areas, and the tribal people, the Adivasi were involved (which, by the way, was what Dangs and the attack on Christians three years earlier was all about, to bring in a religious fanatic polarization amongst the tribals). And the related organizations of the BJP, that is the Vishwa Hindu Parishad, the Bajrang Dal and others, had been working in these tribal areas, the economic situation was also extreme for the tribals. It was their fourth year of drought. So these people were all brought in, and you had this most brutal killing. Now, on the state complicity, I would also like to submit that under Indian law the district magistrates, who are the local civil administration heads, have the right to call out the Army if there is a civil disturbance. No district magistrate did that. It is incumbent on the police to protect citizens, and if they think a cognizable crime is being committed, they have the right to fire. Yet in the bulk of the incidents on 28th February and 1st March, the firing was on Muslims who were defending themselves. So in the list of the dead from police firing, there’s a disproportionate amount of Muslims. Then after the incidents of violence where curfew was imposed, overwhelmingly curfew was imposed on Muslim areas. Then, in the relief camps, there is limited government support, and there are 150,000 people there, limited government support in terms of foodstuffs. But it does not suffice with the population. The biggest camp at Shah Alam, which at one stage had 12,000 inmates, had just 22 toilets and less than that places where people can bathe. And now with the rains coming, the monsoon, there is no physical shelter for those people to stay. There is no security provided to these camps in terms of police, and, actually, the majority of Muslims, given their experience, do not trust the police; they would prefer the Army. Now, the most serious thing in this is that it is not only that the local administration and the local politicians are involved, but even the union home minister, a couple of days after Godhra, said that this is an attack planned by Pakistani Intelligence. Now, if you say that an attack is planned by Pakistani Intelligence, you are implying that the Muslims are acting as Pakistani agents. Pakistan is a traditional enemy of India, so, in other words, the Muslims represent the enemy, and this has been part of the religious fanatic propaganda by the Sangh Parivar from the beginning–that Pakistanis operate in India through Indian Muslims. So Indian Muslims actually have extra-national loyalties and cannot be trusted. No. 1. This is going to go on and may spread beyond Gujarat because it works for political mobilization of the kind of Hindu fanaticism that the BJP practices. So please do not think that this is over and this may not spread to other parts of India. No. 2, and I end with this: This is likely to lead to extremism amongst the affected parties, not only in Gujarat but in the troubled state of Kashmir. The incident of Gujarat has been seen to show that India is not really a secular state, and Muslims and minorities are oppressed, which will further fuel extremism in Kashmir. And we now have reports that Al-Qaeda and others have moved into the Kashmir Valley. So two nuclear-weapon arms states which are in a military confrontation, and there Gujarat has profound implications, not only for the future of Indian multiculture democracy, but for relations between Pakistan and India, and for peace in the entire subcontinent. So really Gujarat is exceedingly important. Thank you once again for this opportunity.